A partial US government shutdown that entered its second day on Sunday was set to stretch through Christmas, after Congress adjourned for the weekend with no deal in sight to end an impasse over funding for President Donald Trump's wall on the US-Mexico border. Due to the shutdown -- in which several key US agencies ceased operations at 12:01 am (0501 GMT) Saturday -- Trump said he would remain in Washington over Christmas instead of going to Florida. "I am in the White House, working hard," the Republican president tweeted. "We are negotiating with the Democrats on desperately needed Border Security (Gangs, Drugs, Human Trafficking & more) but it could be a long stay." Trump has dug in on his demand for USD5 billion for construction of the border wall, a signature campaign promise and part of his effort to reduce illegal immigration. Democrats are staunchly opposed, and the absence of a deal meant federal funds for dozens of agencies lapsed at midnight Friday. Visitors to the capital's park-like National Mall, home to attractions including war memorials and the towering Washington Monument, criticized the shutdown which added to an air of chaos in a capital still reeling from Defense Secretary Jim Mattis's resignation last week over Trump policies. "Oh I think it's ridiculous. It's unnecessary," Philip Gibbs, a retired business professor from South Virginia, said of the shutdown. Jeffrey Grignon, a Wisconsin healthcare worker, said the politicians "need to stop acting like children" and do the work they were elected to do. "It isn't just one or two people. It's all them," he said. "I don't think the shutdown will pressure president Trump at all," said Vander Griend, of Tennessee. "So I think he will get what he wants and I think that's a good thing." Although tourists could still stroll along the Mall and visit its open-air sites, they found public restrooms closed. Some other Washington tourist sites including the White House Visitor Center, National Christmas Tree, and National Archives -- home to the US Constitution and other historic documents -- were closed. 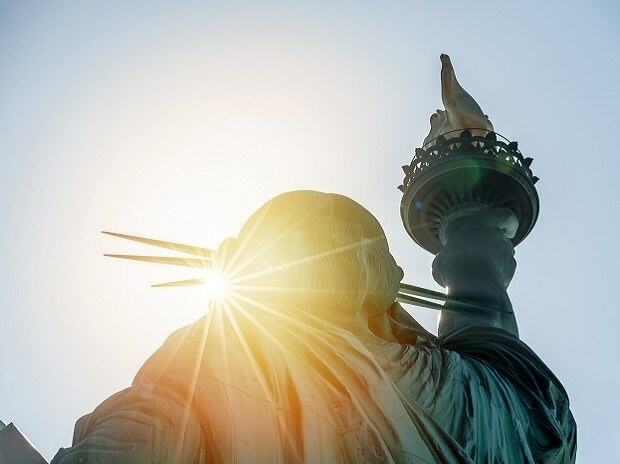 Some national parks have shuttered completely, but New York's governor provided funding to the Statue of Liberty monument and Ellis Island so those attractions could remain open. That will change in January when the House comes under Democratic control. Top Senate Democrat Chuck Schumer blamed the president for provoking the latest furlough. "The Trump shutdown isn't over border security; it's because President Trump is demanding billions of dollars for an expensive, ineffective wall that the majority of Americans don't support," Schumer said. Governor Ralph Northam of Virginia -- a state bordering the US capital that is home to many federal employees -- urged Trump in a letter Saturday to push immediate action to end the shutdown, saying it "inflicts real harm" on workers. One focus of last-minute discussions was USD 1.6 billion in border security support that was a part of pending Senate legislation, number two Senate Republican John Cornyn told AFP. Conservatives in the House would likely balk at that figure. The House then swiftly passed a bill that fulfilled the president's demands and included USD 5.7 billion in wall funding, but it stalled at the first hurdle in the Senate.